The Airbus exhaust fan by Ventair is a complete 3 in 1 solution for your bathroom, with exhaust, heat and light functionality. It combines a powerful and efficient 18w LED light panel, two 600W heat lamps and in addition to it’s premium performance has a sleek, slimline design making it the overall perfect modern solution. 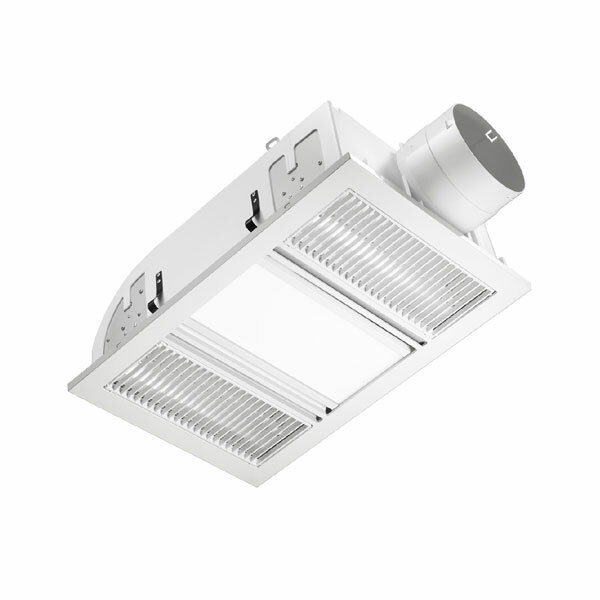 The Airbus 3-in-1 Exhaust Fan features an all new innovative design with two heat strips at 600w and a centrally located energy efficient 18w LED 4200k natural white light at 1512 lumens. This unit is high powered with a side ducted exhaust fan suiting 150mm ducting. The airbus exhaust fan has a capacity of 330 m3/hr with an long lasting ball bearing motor. Ventair Airbus with Light: Ventair offers a 5 year warranty on the motor & 2 years on the LED panel (conditions apply).